Comments follow series of high-profile F1 sponsorship deals recently. Governments are being urged to enforce bans on tobacco advertising, promotion and sponsorship at sporting events amid concerns that deals with Formula One alone could result in the promotion of tobacco to more than one billion people worldwide. The World Health Organization’s warning, made last week, reminded the UK and other countries signed up to the WHO Framework Convention on Tobacco Control that they must implement their domestic laws banning tobacco advertising, promotion and sponsorship in "the strongest possible ways". This may include issuing penalties and taking preventative action, such as by preventing screening of events that violate domestic laws. The WHO is also calling on all sporting bodies, including F1 and MotoGP, to adopt tobacco-free policies that ensure their events are smoke-free and that their activities and participants, including racing teams, are not sponsored by tobacco companies. The announcement has been prompted by a series of recent sponsorship deals between tobacco companies and motor-racing teams. 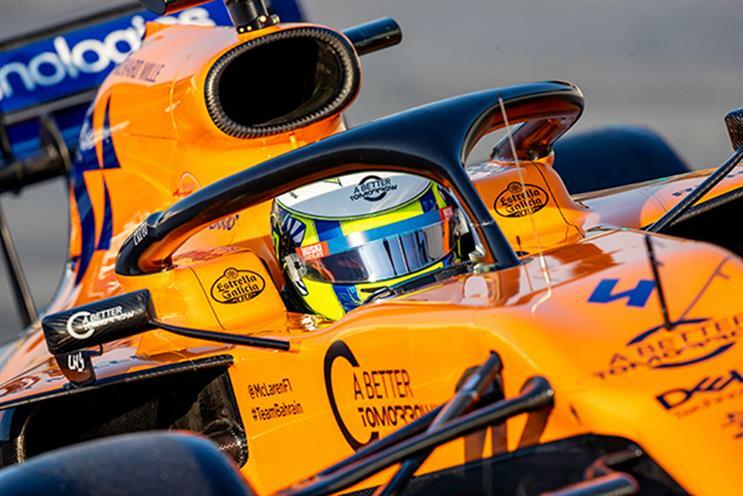 British American Tobacco recently announced "a new global partnership" with F1 team McLaren using the branding "A better tomorrow". Making the announcement last month, BAT indicated that the multi-year partnership will provide a global platform to drive greater resonance of certain products, including Glo, a heated tobacco product. The statement suggests that the company’s intent is to promote tobacco use, according to WHO. However, BAT's branding was not seen on McLaren's car or team at last weekend's Australian Grand Prix, with 7-Eleven taking its place instead. Meanwhile, Philip Morris International has created a logo, Mission Winnow, to be carried by Ferrari on cars, and Ducati on motorbikes, in place of the Marlboro branding previously used. According to Ferrari chief executive Louis Camilleri, the logo relates to a campaign promoting PMI's aim of transitioning from tobacco to electronic products. PMI has also registered the Mission Winnow logo as a trademark, including for use with tobacco products. Ducati carried this branding at a recent MotoGP. Nonetheless, Ferrari agreed to take part in the Australian Grand Prix without PMI's branding, instead sticking to its Scuderia Ferrari team name, after the country's health department raised concerns that it broke F1's rules on tobacco sponsorship. The WHO argued that the companies' sponsorship deals will result in the advertisement and promotion of tobacco products and tobacco use to the world, including young people. The health body argues that countries should apply the same restrictions to alternative tobacco products, such as smokeless cigarettes, as they would to traditional ones. It also points out that tobacco-product advertising and promotion occur both in countries that host events and in countries that receive transmissions of these events. The WHO states: "The Formula One season runs every year from March to November, with races in 21 countries. But tobacco advertising during these races can be seen in television broadcasts that span the globe. "The secretariat of the WHO FCTC is concerned that 'brand stretching' and 'brand sharing' deals can result in the promotion of tobacco to over a billion viewers, including young people." Responding to the warning, Rosanna O’Connor, director of alcohol, drugs and tobacco at Public Health England, told Campaign sister title PRWeek: "We expect the unlawful promotion of tobacco products to be thoroughly investigated. PHE supports the government in its commitment to ensuring strict adherence to the WHO Convention, which helps protect health policy and work from the vested interests of the tobacco industry." The Department of Health & Social Care said: "Smoking is still the biggest cause of preventable death in this country and there are strict rules in place to prevent tobacco companies from promoting their products, including through sponsorship. "We take the unlawful promotion of tobacco and other nicotine-inhaling products very seriously and expect any organisation found to be flouting the rules to be investigated."